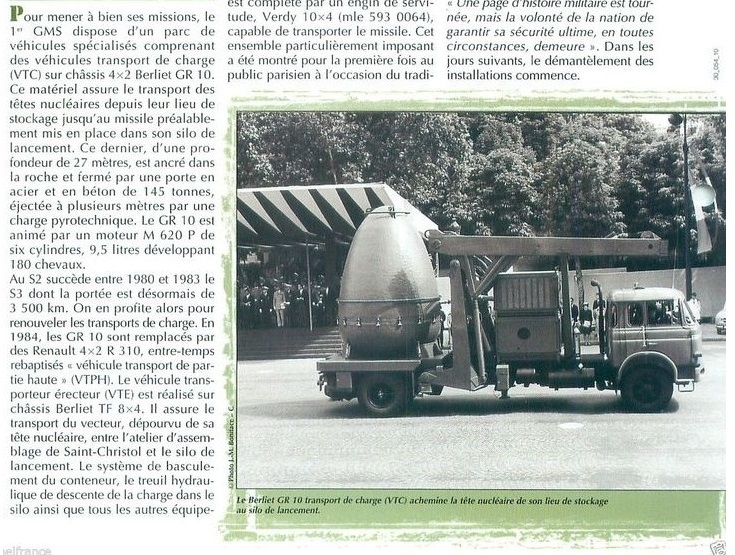 It was in 1971 that France got her ground-to-ground missile system operational. 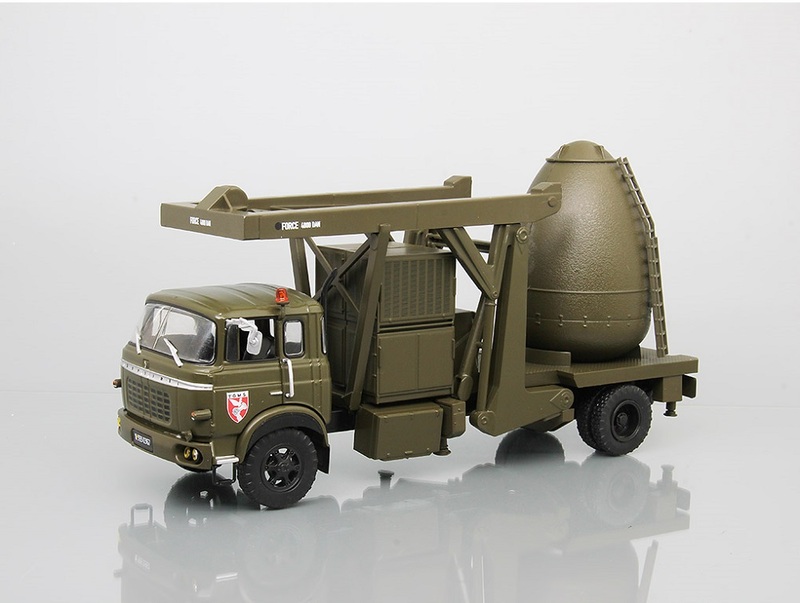 Equipped with a single 130 kiloton thermo-nuclear warhead, the S2 missile was the latest IRBM (Intermediate Range Ballistic Missile) in her possession and complimented the earlier developed submarine and air missile system. About 18 of these were deployed at the Apt-Saint-Christol air base. 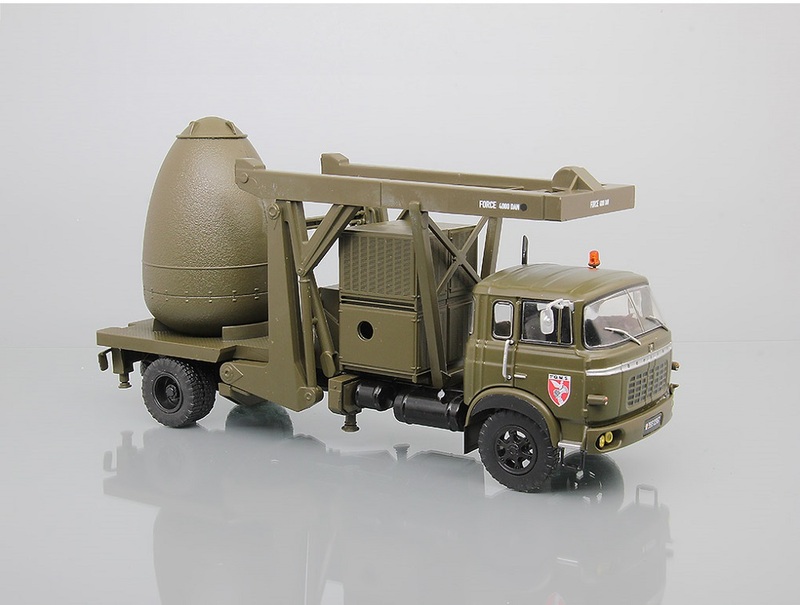 To deploy these, the nuclear-tipped missiles had to be carried in specially built trucks to the launch pads (hidden at different locations) from where missiles could be launched. The missile tip had to be separately joined to the booster rocket that were stored in underground silos. 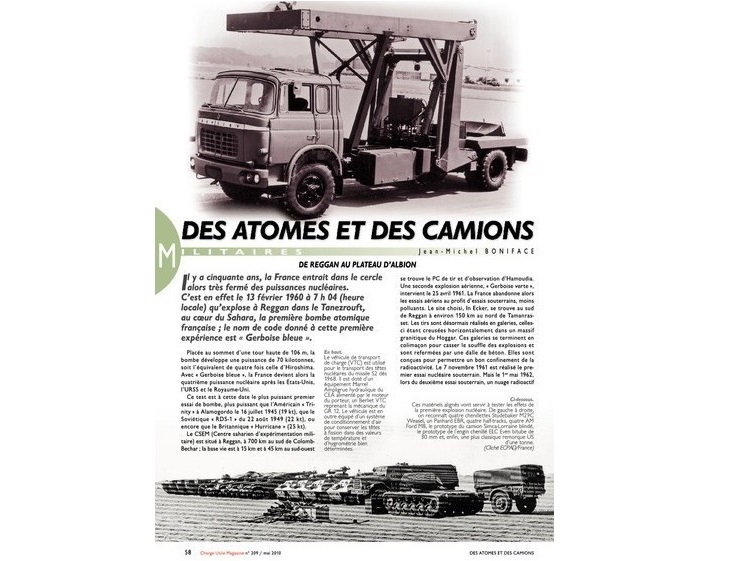 So Marrel, a firm that specialises in making lifting equipments was commissioned to build these atop special Berliet made trucks. 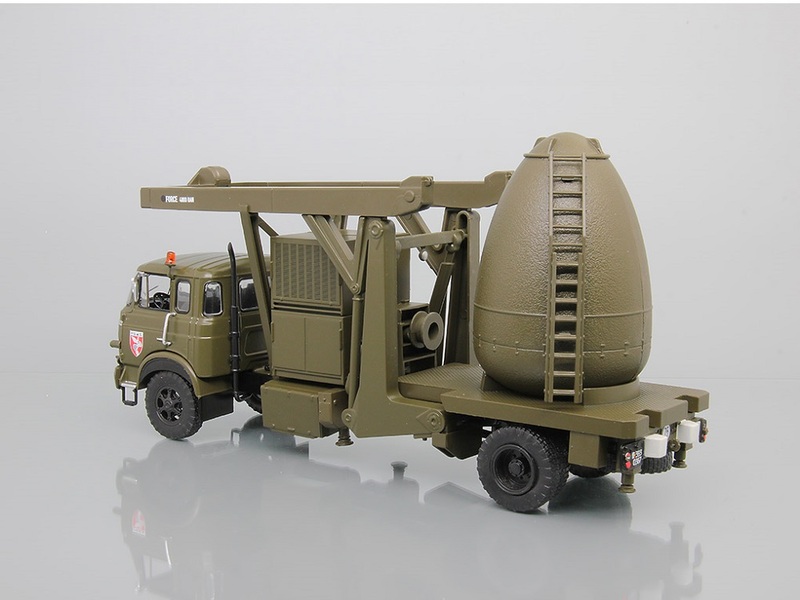 An egg-shaped structure was built to carry the nuclear-tipped missile. The vehicle would be escorted by a team of commandos, gun-fire vehicle, helicopter and a lead command vehicle. A rare collectible in metal.